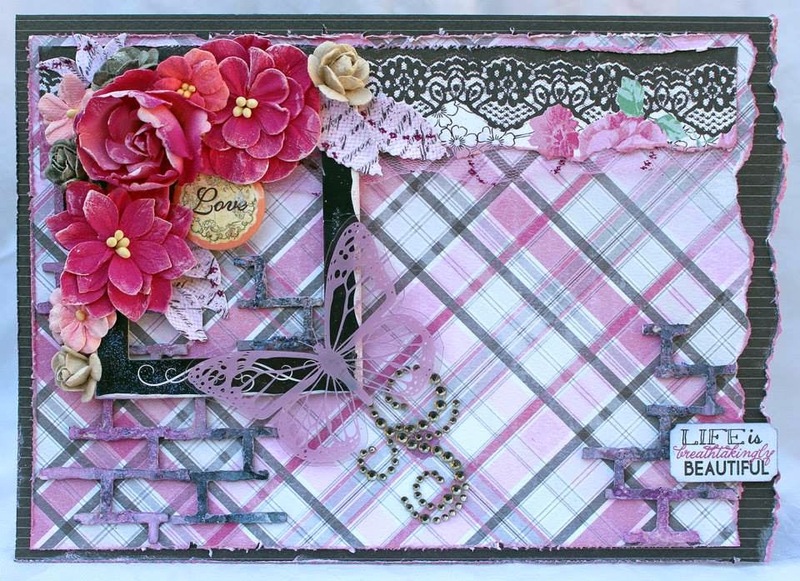 Scraps of Darkness and Scraps of Elegance: Gorgeous projects by Patricia! Good morning, I'm happy to report that I survived Monday, and since you are here, I guess you did, too! 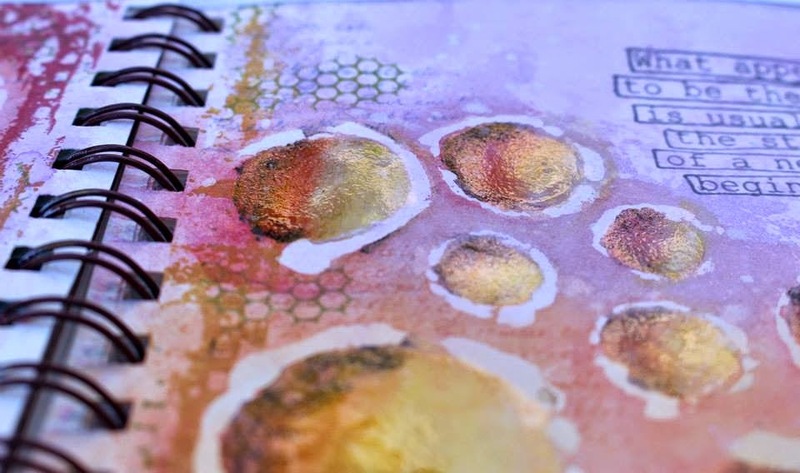 Today, I'm sharing not one, not two, but SIX gorgeous projects by Patricia Basson, all created with our August Raindrops on Roses kit! 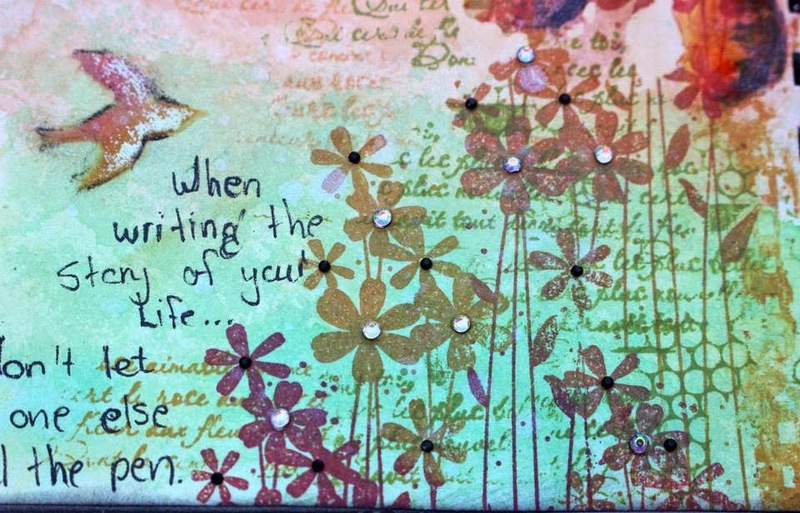 Patricia used the Creativity Add On to create this AMAZING project. 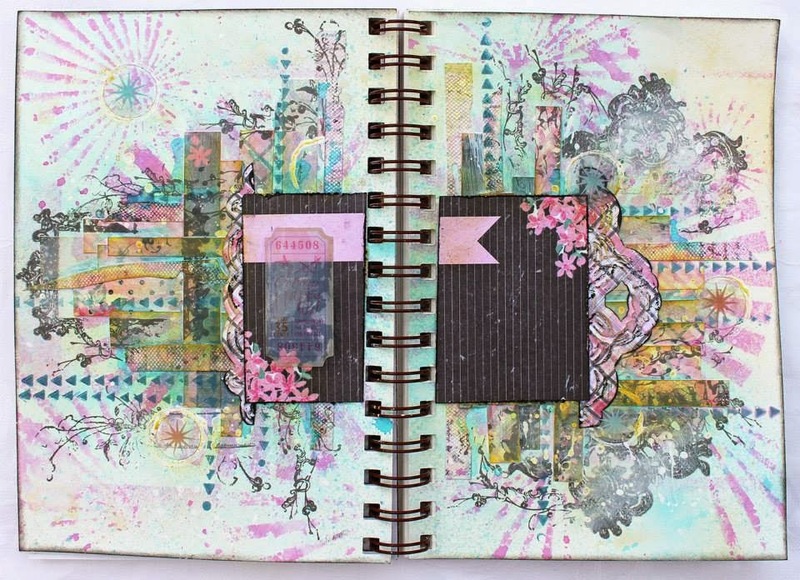 I just love everything about these pages, the colors, the design, her technique work, it all just works wonderfully! 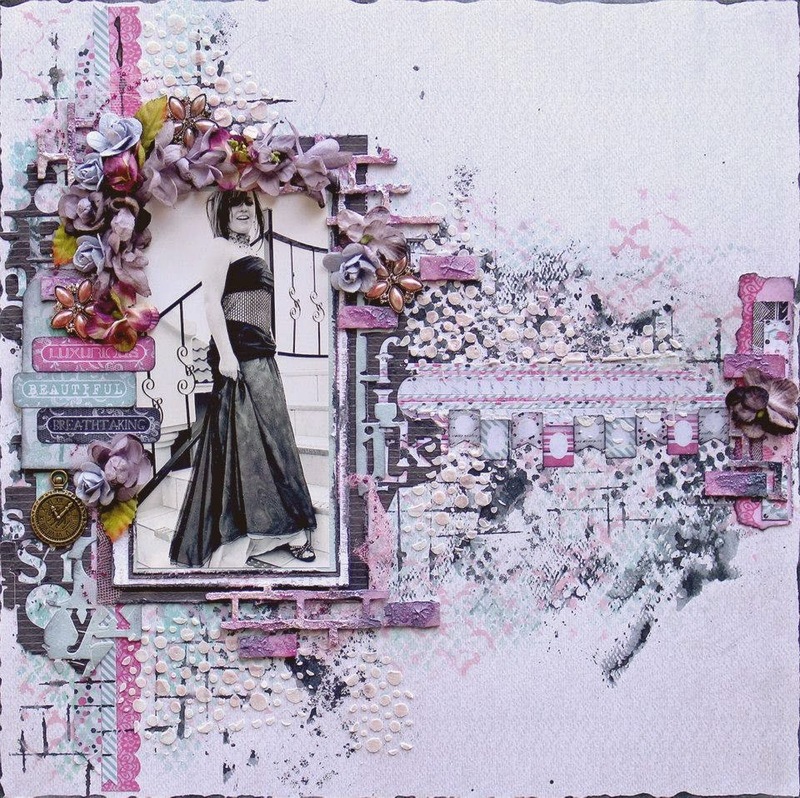 Patricia's next project is a stunning mixed media layout... Just look at all the detail and texture on this beauty! I don't know if it's just me, but I get a real "oriental" feel from this layout, and I love it! Her background work is perfect with all the fussy cut and dimensional flowers. 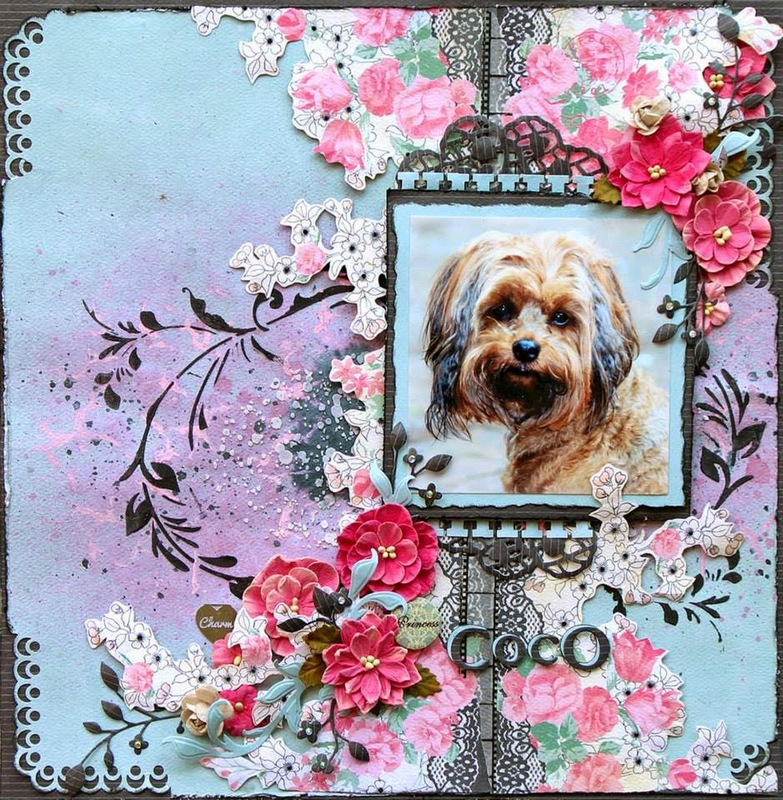 She used the Authentique Classique: Pretty papers from the kit, and I do believe I see some of those gorgeous Blue Fern chipboard bricks from the kit, as well! 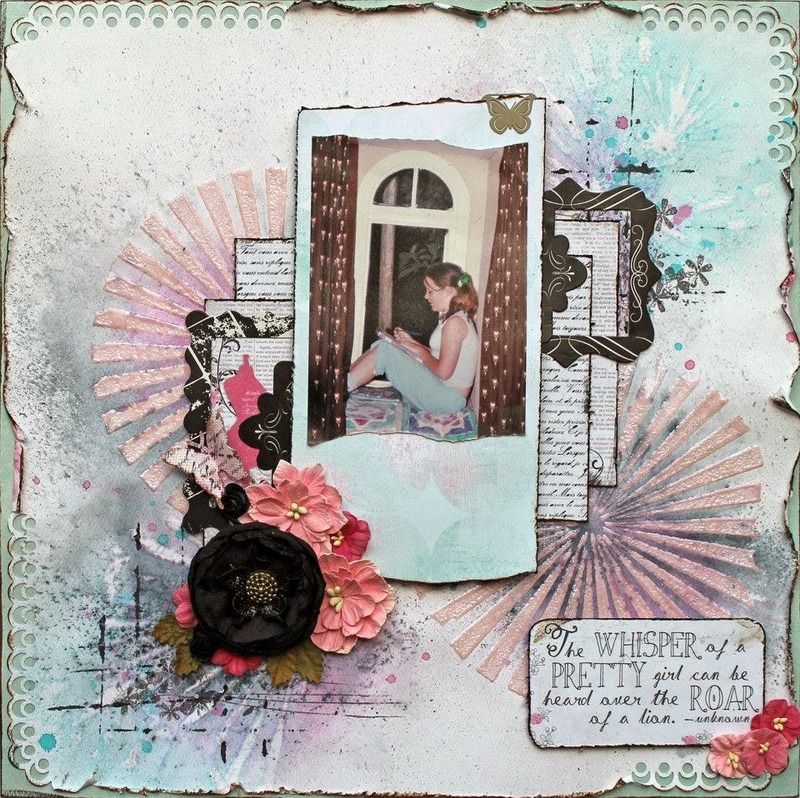 The next layout that Patricia did was for our August Inspiration Board Challenge, and what a lovely example it was! Such pretty pastel colors, and beautiful background work! Just out of this world! It takes me to the Fourth of July, if fireworks were only done in cotton candy colors! 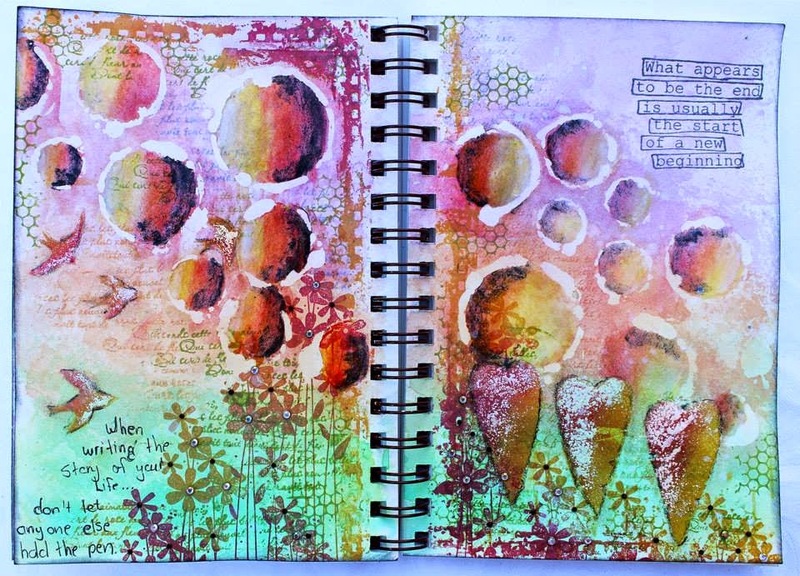 I hope you've enjoyed Patricia's work with the August kit, I know I sure did!